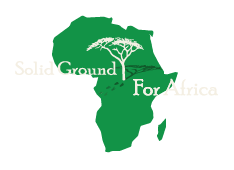 Solid Ground for Africa is working to partner with existing orphanages to help them develop independent and sustainable systems to provide better and more reliable sources of food, shelter, medical aid, education, and financial stability. We start by talking to the people running those orphanages to discover what they need to be independent. We know that the greatest success will be achieved by respecting local cultures and communities and letting them lead the way to a new future where they are not dependent on foreign aid or government support. We work in a world where the landscape is constantly shifting and we have learned that flexibility and perseverance are integral qualities. We move forward, with determination and optimism, always remembering the lives we are trying to make better and the brighter futures we are helping to create. Read here to see more about our forward-looking plans. Community job training including bookkeeping, equipment maintenance and repair, farming practices, etc.